Hunting in United States Louisiana Paradise Plus Guide Service, Inc. 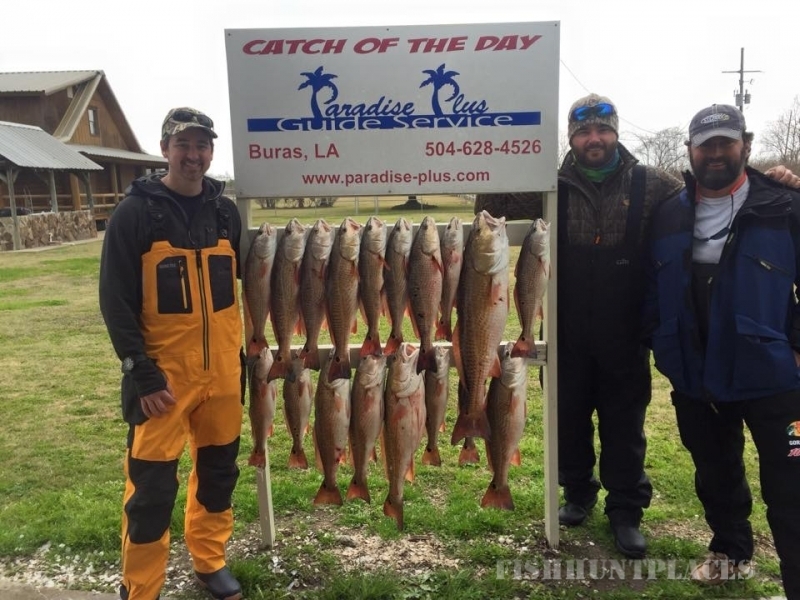 Hunting in : United States : Louisiana : Paradise Plus Guide Service, Inc.
Paradise Plus Guide Service, Inc.
We would like to thank all of you who have fished with us before and welcome those who are interested in visiting soon. The time is right! Great catches are coming in daily! The stage is set for an outstanding fishing season! You can see recent catches and reports from our charters by visiting (www.facebook.com/paradiseplus). Please don't hesitate to contact us if you have any questions or would like to make a reservation! As always, we appreciate your continued friendship and look forward to many great days together! Let's go fishing! 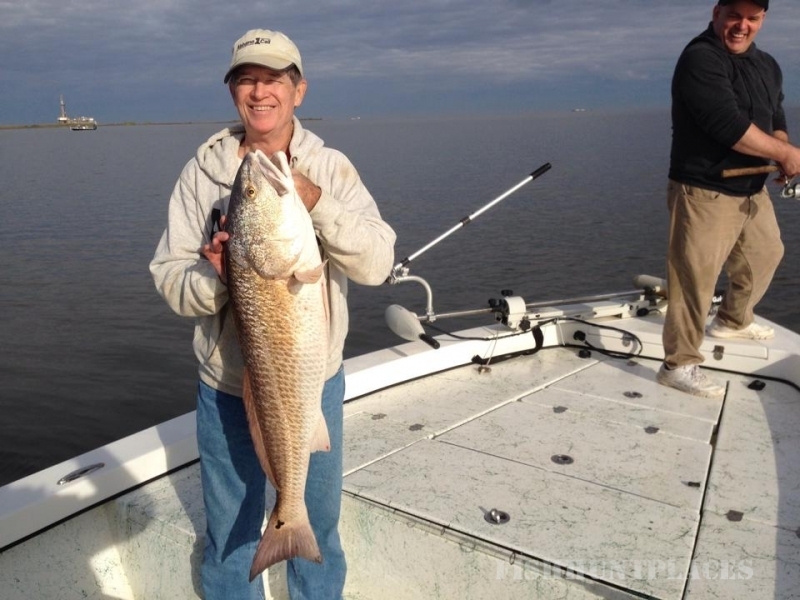 Unlike most fishing destinations in North America, south Louisiana offers superb fishing year round. Nutrient rich estuaries bordering the Mississippi Delta feed the seemingly infinite populations of game fish. 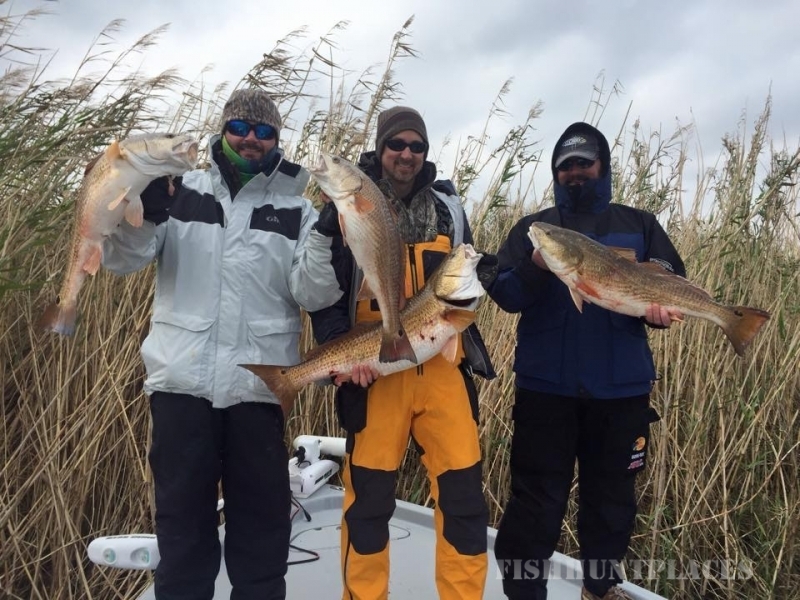 Very liberal limits consisting of 5 redfish , 10 flounder, and 25 speckled trout per angler per day exist here. 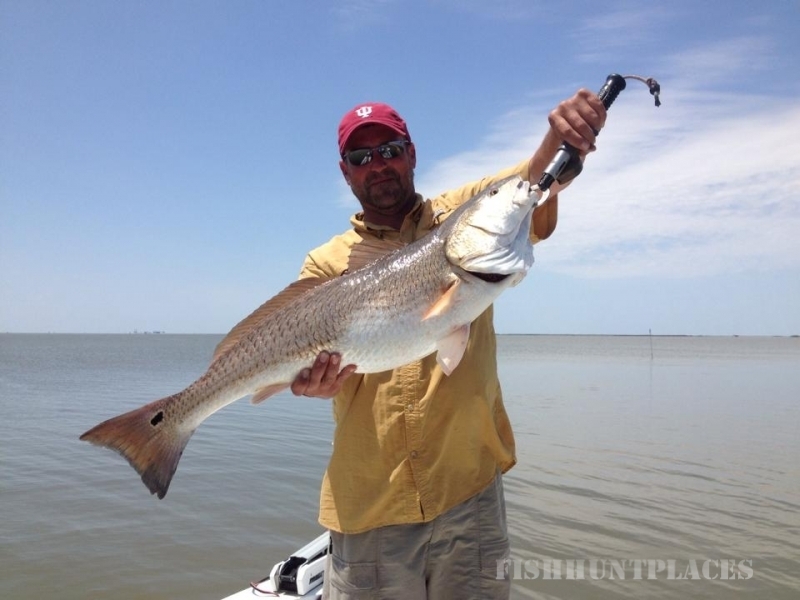 Redfish can be caught literally every month of the year, while speckled trout are most common from March thru December. A couple of flounder are boated each day, however, late summer is prime for larger catches. Trophy speckled trout are common in March, April, May, September, October and November. Bull Reds (those ranging from 12 to 35 pounds, and occasionally larger) are most common from February thru November, but can be encountered just about any month of the year. 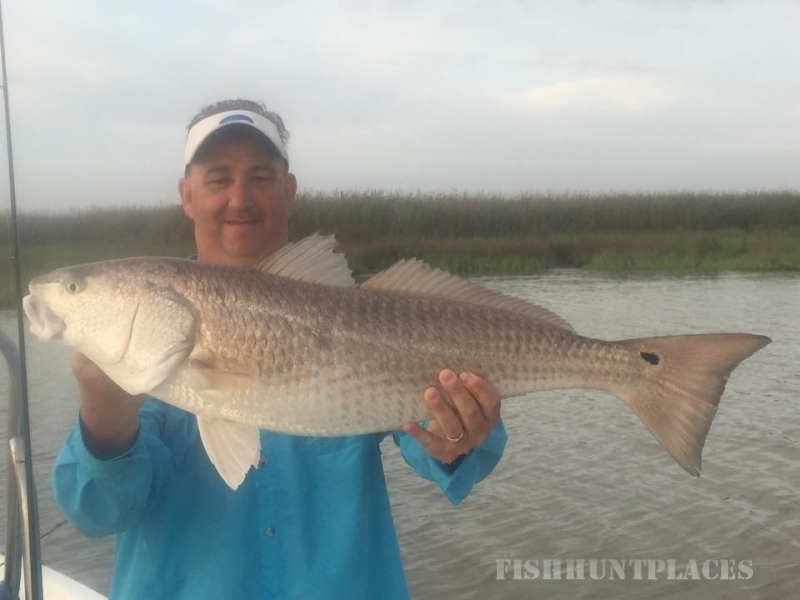 You'll stalk redfish and speckled trout in pristine shallow flats covered with marsh grass, near oyster reefs, along cane lined shores, on the sandy coastal beaches, next to granite boulder jetties, and around the many near shore oil and gas platforms. Whatever you may envision, the Mississippi Delta has it all! And if duck hunting is your passion, look no farther. Located along the notorious Mississippi Delta Flyway, Venice is one of the most sought after destinations in the country. A special two week teal season in September followed by a duck and goose season from mid November until mid January is perfectly coordinated for a Cajun Cast and Blast. This combination consists of hunting in the early morning and fishing in the afternoon or vice versa. Many have said that this is the ultimate sportsman's adventure. Please book early!